If you have a metadata file added in the system settings for Single Sign On, you can now specify who will be required to use SSO, and who can login using their People HR credentials (email and password). If an employee is required to use SSO, they can simply click the Sign In button to log in via SSO, and will not be able to bypass this using the other option. 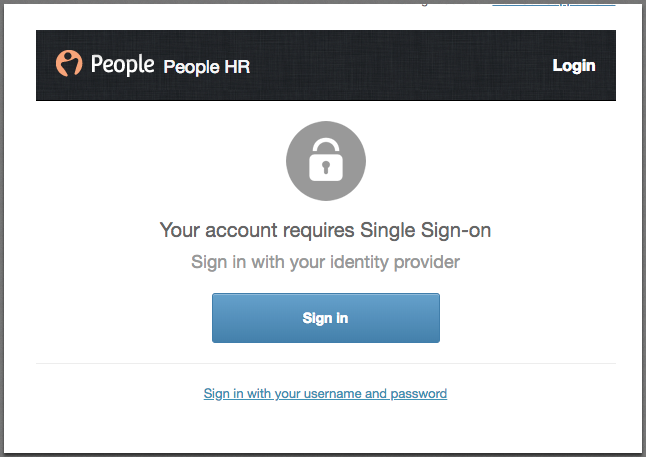 If an employee is not required to log in this way, they can select 'Sign in with your username and password'.